ENTERTAINMENT news: Tippi Hedren guest stars – BOBBY JAMES. Today, creators of FX’s popular horror/thriller series American Horror Story (2011) have officially titled the second, upcoming season American Horror Story: Asylum. 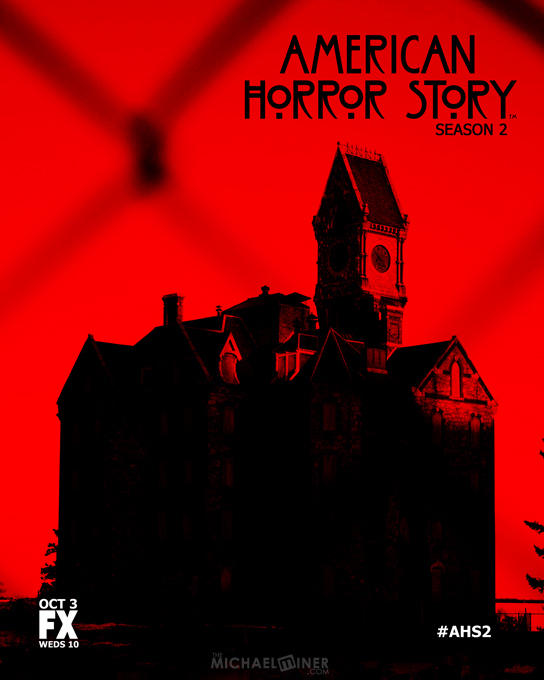 The new season is set in 1964 and boasts an all-star cast including Zachary Quinto, Adam Levine, and the returning Jessica Lange in an insane asylum. Lange will assume the lead role of the series as the nurse in charge. Nurse Rached anyone? On topic with the mid-1960s, Tippi Hedren, the actress who famously portrayed Melanie Daniels in Alfred Hitchcock’s 1963 classic The Birds, will guest star in the season three premier of FOX’s Raising Hope. Hedren will guest star as Nana, Sabrina’s (Shannon Woodward) dead grandmother. Joining Hedren will be her real-life daughter Melanie Griffith, who has been cast in multiple episodes of the comedy series as Sabrina’s mother. Hedren isn’t the only blast from the past this week as trade publication Sight & Sound released their once per decade Greatest Movie Of All Time list. Orson Welles’ Citizen Kane (1941) was dethroned from its position atop the list by none other than acclaimed British filmmaker Alfred Hitchcock and his 1958 film Vertigo. Additional Casting News: Jonathan Rhys-Meyers was cast last week in NBC’s announced primetime vampire thriller/drama Dracula. And today, Wonderfalls star Caroline Dhavernas joins Hugh Dancy and Mads Mikkelsen in the upcoming primetime series Hannibal. Dhavernas will assume the leading female role of a psychology professor intent on protecting an FBI agent (Dancy) from the emotional strain of working with serial killers. Finally, for animal lovers, Gator Boys has been renewed for a second season by Animal Planet. The show features Paul Bedard and Jimmy Riffle, two crazy dudes who capture nuisance alligators with their bare hands. In the second season, set for 2013, Paul and Jimmy will relocate to Mississippi, where the alligators are bigger and meaner than the ones they’re used to in Florida. There you have it, your first briefing! Enjoy!